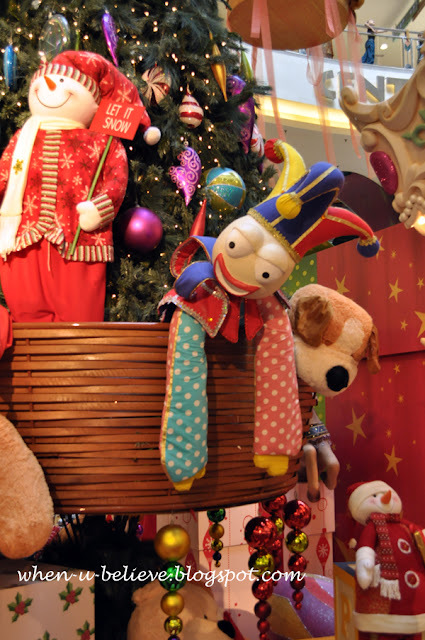 It's a Funtoystic Christmas at Mid Valley Megamall! 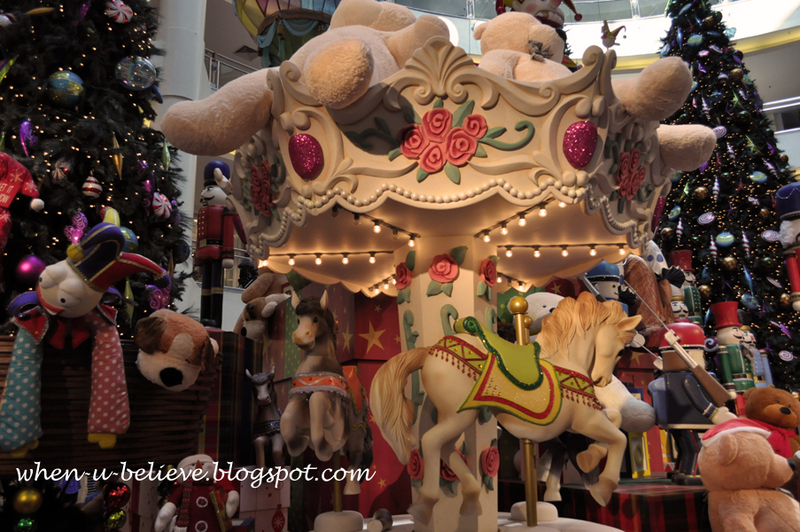 Love the theme this year which brings back great childhood memories of the toys and bears I used to play with. 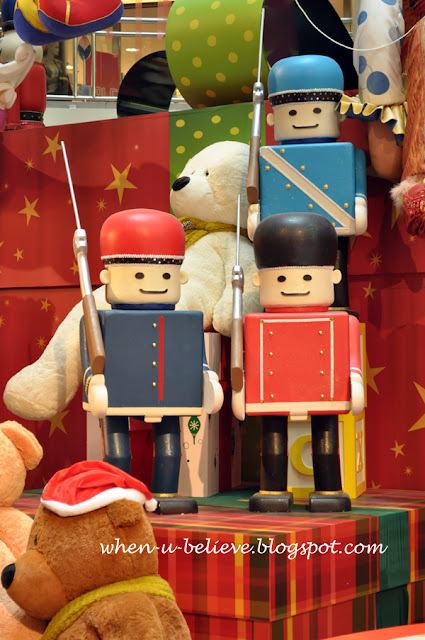 Reminds me as well of the movies like Toy Story, The Christmas Toy and The Nutcracker where all the toys come to live. There are giant bears almost everywhere around the stage at Centre Court, Ground Floor. 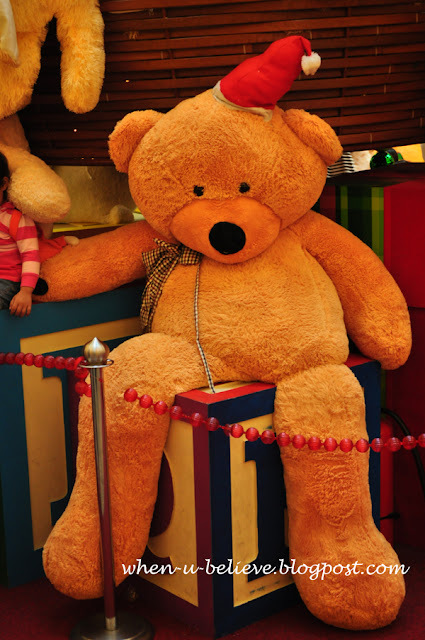 So fluffy, soft and nice to hug. It feels so warm this Christmas. I saw a bear with extremely long legs too. It was really crowded that day in the afternoon, difficult to get a photo clear without people blocking the view or walking right in front of you while you were taking a photo. Come earlier in the morning to avoid the crowd which builds up in the afternoon during weekends. Wonder why why, this is usually portrayed as the "bad" or "evil" character in toy movies. Maybe because, popping up all of the sudden just scares people. But, he looks just kind in here. 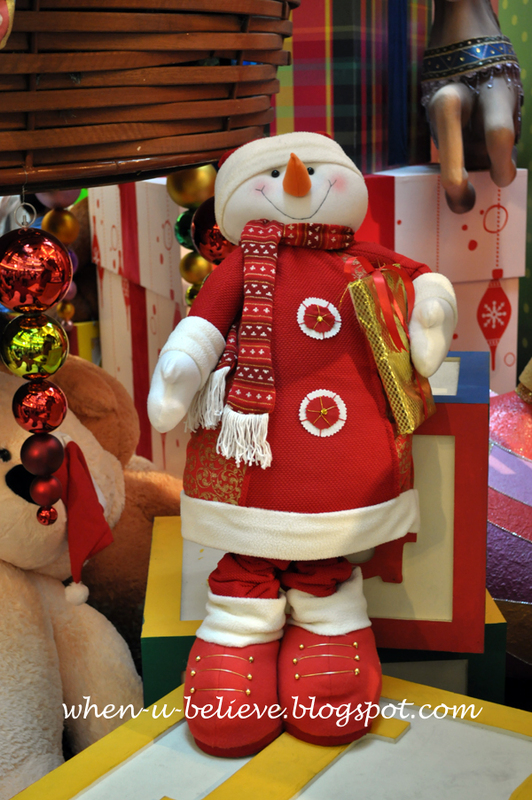 A little snowman that brings a present to your heart. 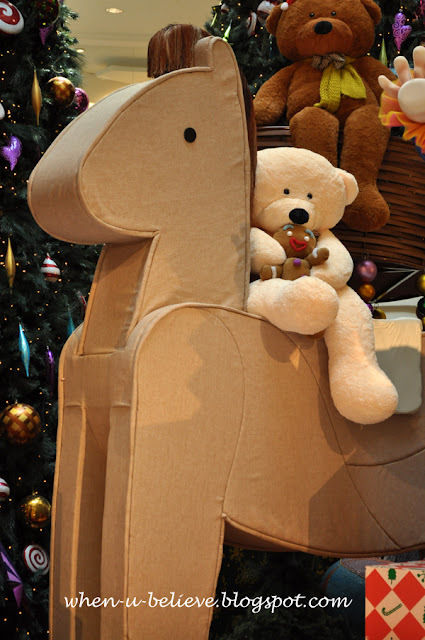 Ginger bread man is enjoying his ride with teddy and a giant pony. Weeeeeee! Here we go! You can catch cheerful assistants as they hand out bunches of floating balloons that come in different shapes and colours from 3rd Dec 2010 - 2nd Jan 2011 mall wide, 12pm, 3.30pm, 5.30pm. Catch him at 2,30pm, North Court or 4.pm South Court, 3rd Dec 2010 - 2nd Jan 2011. 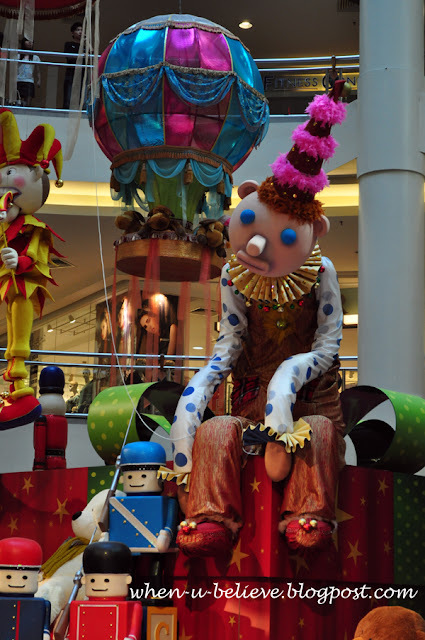 Meet the fun touring characters as they walk the mall daily, pose for a photo with you while spreading the festive cheer from 1st Dec - 2nd Jan 2011 at 10.30am and 6pm. So many toys in the basket. 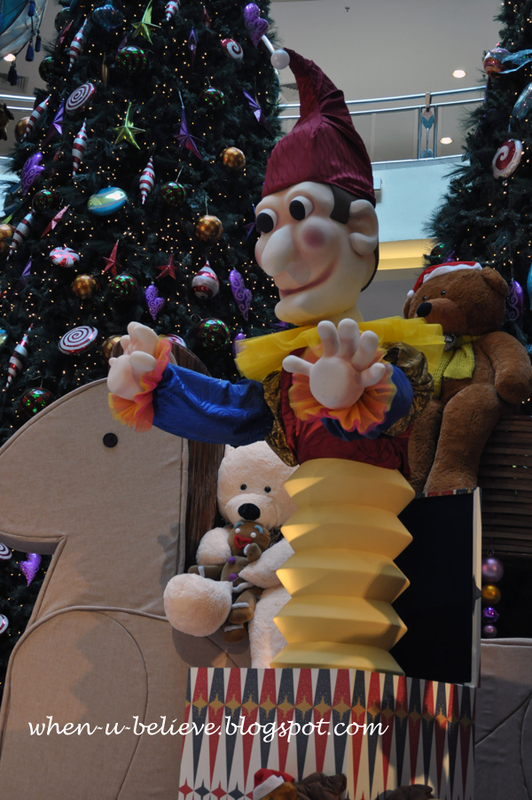 If you've missed the Christmas Carollers and Christmas Dance Show, be sure to catch the Funtoystic Sailors Show, North Court, Ground Floor @ 1.45 pm, 3rd December 2010 -3 Jan 2011. Saw these two cute toys too at the mall. Can't stop myself from hugging it. Love these baby dolls. She's so lovely. 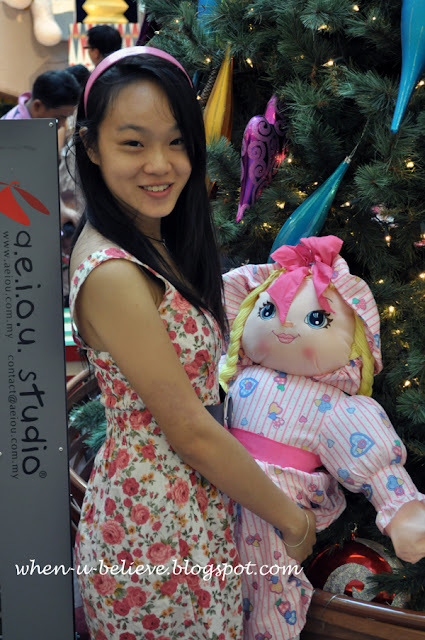 Reminds me of a doll that I used to have when I was little. 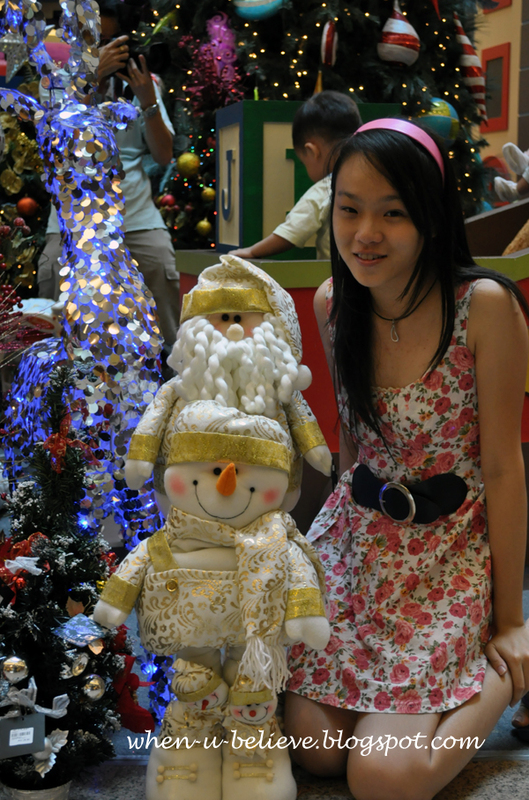 You can Meet Santa and have a 4R photo and present for Santa for a minimum of RM 10. All proceeds from this will be donated to charity. 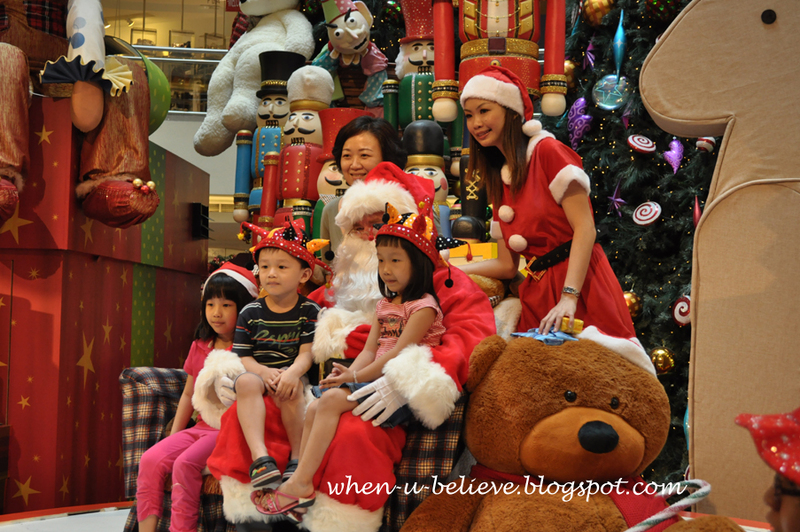 Santa was there from 11-25th December 2010 on Weekday: 12.30pm & 6.30pm and Weekend: 12.30 pm, 4.30 pm & 6.30 pm. Ushers were even there to try to make everyone smile for the photo, especially the little kids. Equipped with party poppers to cheer kids with an upside down smile! If you brought a camera of your own, you can ask the ushers at the photo taking session to help you take photos. Many families took this opportunity to have a family portrait. The children's Christmas was made extra special with Santa's appearance. After the photo was taken by the Foto Shangri-La Team, you can get it around 2 hours later or otherwise claim it within a month from the photo booth.